How We Serve In Willard? 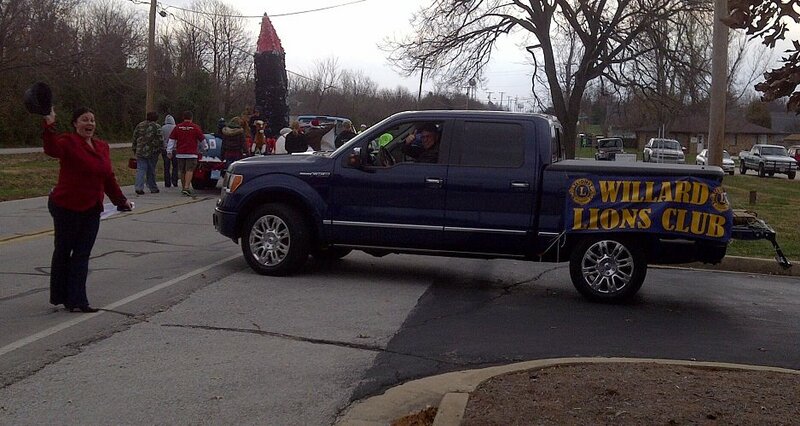 Welcome to the Willard Lions Club! Thank you for visiting the Willard Lions e-Clubhouse! We will participate in several fundraising efforts, community projects and events throughout the year. If you are civic-minded and interested in joining this great organization, please come enjoy lunch with us at Green Hills Country Club on the 2nd Thursday of each month. We always need new members and would love it if you would join us! For more details, contact Charles Lacy 417-818-8626! Monthly Meeting Time: Regular monthly open meeting is now at 12:00 Noon the 2nd Thursday of each month at Green Hills Country Club in Willard, MO. This will be the only regularly scheduled meeting we have each month. Special evening meetings will be announced as needed. Please come and join us as our guest (that means on us!) for Lunch and see what is new and exciting in the Lions Club for 2015. We are active in helping the Willard community (and the international community) with our services and funds throughout the year. Please browse this website and it's links. Also check out the photo gallery containing pictures from past events!